Eating “ultra-processed foods” linked to cancer. Studying outdoors is more motivational, and therefore more effective. A brain implant that increases memory. Weight gain triggers changes in hundreds of genes. Patients who stopped taking statins fared no worse (and may have even fared better) than those who continued. Episode 219: Adam and Vanessa Lambert: Host Elle Russ chats with the dynamic personal training and coaching duo, Adam and Vanessa Lambert. Keto Episode 220: Avoiding an OCD Approach to Keto: Keto shouldn’t be needlessly regimented and analytical. Brad Kearns explains how and why to cultivate your intuition. For more neural entropy, drink coffee. What are the toughest winter sports? Curling, for one. There aren’t enough Army recruits able to throw a grenade. Some reasons human birth is so hard. Impressive long-term planning (and revenge hopefully served cold). Chopping cruciferous vegetables 90 minutes before cooking increases the sulforaphane content of the dish. Scotland was serious about their porridge. Neanderthals forged tools in fire. I’m impressed: Polish cow escapes slaughterhouse fate, breaks a man’s arm in the getaway, swims to island, attacks anyone who comes near, will die a natural death. I was so optimistic until midway through the second paragraph: The Great Muffin Makeover. This is awesome: A 4-year college dedicated to traditional trades using traditional tools. I’ve been cooking like this for years now: Chopping food using your mouth. Article I contributed to: 30 easy keto recipes. I always wonder what those Indian folks are doing with the bitter melon they buy at the farmer’s market. Maybe they’re making karela bhaji. A classic: filet mignon with bearnaise sauce. The Personality Factor: How Does Introversion or Extroversion Interact with Well-Being? – What are the evolutionary underpinnings? Long Fasts: Worth the Risk? – How long should you go? – Let’s say I didn’t dislike writing it, paleofam321. 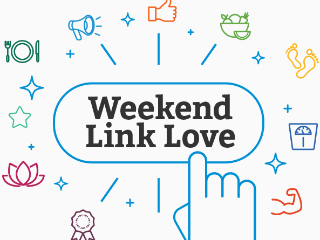 The post Weekend Link Love — Edition 491 appeared first on Mark's Daily Apple.